The National Science Education Standards - Prepared by the National Research Council. The text includes standards for teaching, content, assessment, and professional development. Benchmarks for Science Literacy - What students should know about science, math, and technology by the time they graduate from high school. This guide to instruction and the writing of a curriculum has been developed by the American Association for the Advancement of Science. Science NetLinks - Lesson plans and web resources of K-12 science teachers from the American Association for the Advancement of Science. Middle School Science - Lesson plans for the physical and life sciences. Science Lesson Plans - For all grades from Education World. The National Science Digital Library - Links to science resources for teaching. 125 Great Science Videos - From Astronomy to Physics and Psychology. This are videos which may be found on YouTube, and this list is from the Open Culture web site. Appcrawlr - Search for apps by subject and platform. Learning Science - Here you will find links to new online technologies for teaching science, links to science sites which are related to the science learning standards, and cool learning tools for math. This is a collaborative project of Temple University, and teachers in Bucks County (PA) schools. Learner.org - Professional development and teaching resources. Videos marked VoD may be watched online. This site is by the Annenberg Foundation. 42 eXplore - Teaching ideas and related web sites for a variety of science topics. Science Daily - Online magazine with breaking news about science. SciCentral - This site helps you to keep up with science in the news. Popular Science Magazine - What's new in the worlds of science and technology. Outstanding Science Trade Books for Grades K -12 - Selected by the National Science Teachers Association. Finding the Science Behind Science Fiction through Paired Readings - A middle school lesson plan from Read Write Think. Freebies for Science Teachers - By the National Science Teachers' Association. Science Printables - worksheets and other printables for many science topics - all free. 1001 Inventions and the Library of Secrets - An award winning video starring Sir Ben Kingsley which is about the Moslem contributions to science in the middle ages. You may watch it online. Why are Things Colored? - This site could be used for anatomy, art, physics, or several other disciplines. There are lesson plans. This a Smithsonian Web Exhibit. Who Did It? - Using forensics to hone science and laboratory skills. This is a unit for middle or high school science students. It is an introduction to laboratory investigation which would be appropriate for general science, biology, or bio-technology. It is from Teacher's First. The Schuylkill Center for Environmental Education - Educational programs for teachers and students. The Morris Arboretum - Of the University of Pennsylvania. The Challenger Center for Space Science Education- Uses the theme of space exploration to improve student learning in science and mathematics. Earth and Sky - Activities to accompany the daily radio program, and also links to lesson plan and science sites. Amazing Space - Astronomy lessons, teaching tools, and a video about the night sky. Space.Com - This site provides current news of the space program, and also information on space, astronomy and Project SETI. It is a commercial site and sells books, astonomy programs and other materials. Space and Astronomy Lesson Plans - From Teachnology. Exploring Planets in the Classroom - Hands on activities for studying earth, the planets, and geology. NASA/MSU CERES Project Educational Activites - Lesson plans for grades K-12. Google Sky - Google's pictures of the universe. Build the Solar System - This site has a calculator so you can get the distances right. Astronomy Workshop - Online astronomy problems to solve, and solar system viewers. Paper Plate Education - The use of paper plates to demonstrate many of the concepts of astronomy. Good site when your supply budget is low. The Women of NASA - Meet the women scientists at Ames Research Center. This is a K-12 initiative by NASA to interest more girls in careers in science. Astronomy Cast - a podcast which is a great way for you and your students to learn about astronomy. Sky Maps - A free monthly sky map. American Chemical Society - Web site for chemistry teachers and students. Learn Chemistry - Lessons, experiments and much more for all grade level. From the Royal Society of Chemistry. Chalkbored - High school level resources which includes Power Point lessons, lesson handouts, labs, and other material. Chemistry Lesson Plans - From Teachnology. Creative Chemistry - You will find worksheets and online chemistry games at this British site. Resources to Teach and Learn Chemistry - From the ChemCollective. Virtual lab problems, tutorials, simulations and more. Chemistry at ThoughtCo- lesson plans, experiments, and other chemical information. The Periodic Table of Videos - There is a video for each chemical element. This is by the University of Nottingham. 24 Free Chemistry iPad apps for Students - by Christopher Pappas, February, 2013. 12 Excellent Chemistry Apps for High School Students - From Educational Technology and Mobile Learning, July, 2017. School Chemistry Laboratory Safety Guide - From the National Institute of Occupational Safety and Health. Physics Lesson Plans - From Teachnology. SMILE Physics Lesson Plans - From the Illinois Institute of Technology. Physical Science Lesson Plans - for all grades from Reach Out Michigan. Physics Central - Some teaching ideas, a middle school competition, free posters and coloring books. By the American Physical Science Society. Technology Lesson Plans - Links to lesson plans web sites. From Internet4Classrooms. The Science of Speed - A fun way to learn the physics of NASCAR racing. These videos will appeal to the car-loving students. This is by the National Science Foundation. Teach Engineering K - 12 - This site has curriculum and lesson plans for many areas of science. It has a great many lessons for physical sciences and technology. What is a Robot? - Lesson plan from PBS. Robots - Lots of links to web sites dealing with robots. This site is by 42 Explore. Molecularium - Site for teaching about atomic structure. There are lesson plans for you and interactive activities for students. The Particle Adventure - This is a great site if you need to brush up on your knowledge of atomic or nuclear physics. It has a few worksheets for students, too. Energy Production - A lesson plan for grades 6 - 12. The plan includes the use of videos which are available at the lesson plan web site. From WGBH in Boston. 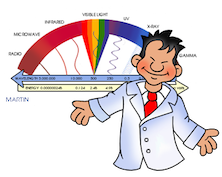 The Energy Kid's Page - an energy timeline, classroom activities, energy facts, and an energy glossary. Energy Lesson Plans - From the Society of Petroleum Engineers. Teaching Resources - on alternative forms of energy from the Tennessee Valley Authority. Geology Educational Resources - From the U.S. Geological Survey. Projects in earth science for students and teachers. Earth Science Lesson Plans - from Teachnology. Geology.Com - Geology articles, maps and satellite images, a geological dictionary, and teaching materials. Understanding Geologic Time - This online unit for students has a teachers guide. How Volcanoes Work - This is a good site if you need to brush up on your knowledge of volcanoes. There are links to volcano lesson plans on the Volcano Links page. Earthquake Topics: Lessons Online - From the US Geological Service. Mineral Information Institute - Free teaching materials and lesson plans. Mining - Links to web sites about mining and mine safety. There are also ideas for student activities. Explorations Through Time - Units for paleontology and life sceinces from the University of California Museum of Paleontology. Dinosaurs! - Activities and teaching ideas from Scholastic. Learning From the Fossil Record - Lesson plans for paleontology. Geology of Pennsylvania - lesson plans and other materials by the Pennsylvania Department of Conservation and Natural Resources. Geological Maps of Pennsylvania - Information (no lesson plans) from Geology.com. Weather Lesson Plans - From the University of Oklahoma. These are mainly for middle school students. Weather Lesson Plans for Elementary Teachers - Lesson plans and links to weather web sites. National Weather Service Education - For students, parents, and teachers. Weather Wiz Kids - This site, by a meteorologist, has lots of information and some lesson plans and weather activities. Tornado Lesson Plans - From A - Z Teachers Stuff. A Blizzard of Winter Lessons! - For elementary grades from Education World. Project SkyMath - A six-weeks middle-school mathematics unit which incorporates real weather data. This site is maintained by Linda Bertland, retired school librarian. Please address any comments, additions, or corrections to info@sldirectory.com.